Don’t you love it when people know you enough to get you something for Christmas that’s just perfect? 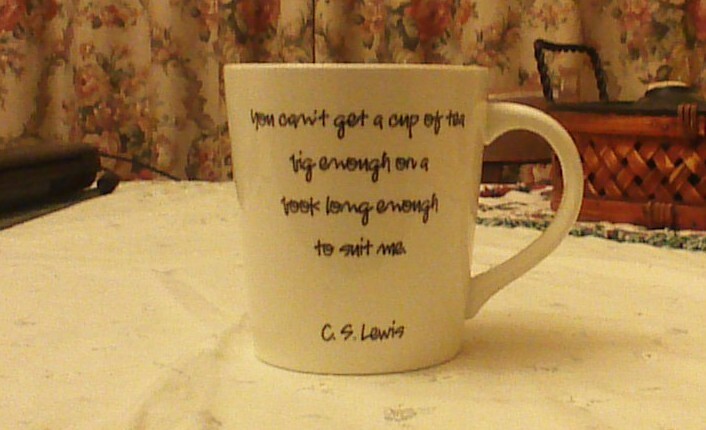 Here’s something that combines three things I love: C. S. Lewis, tea, and books. Isn’t it a great mug? And yes, despite my admitted addiction to coffee, I will never say no to a cup of tea. Or to a long book, unless it is so poorly written as to not be worth the effort. What about you? Get any perfect gifts this year?